Visual storytelling is what I do. As an interior photographer, I come into a house and show the home. 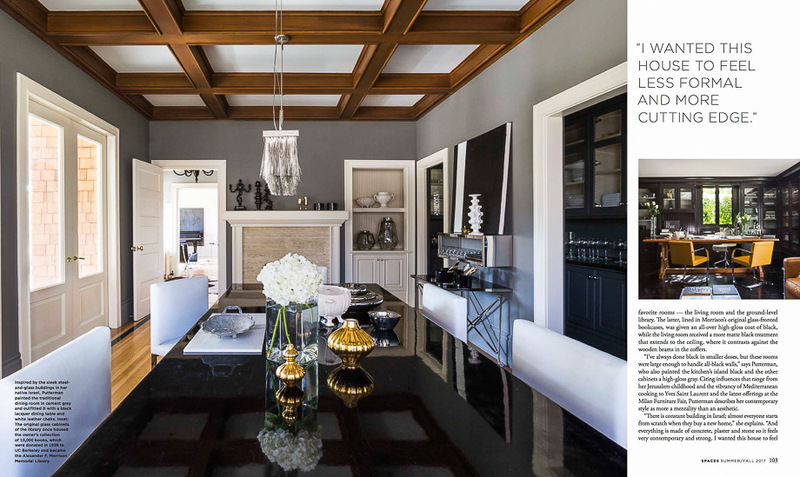 Interior designers & magazine editors seek that I distill the elements of a homes design, decor, and personality to yield perfectly framing compositions that live on the page and the screen. I understand the mix of great design and put it into my photographs. 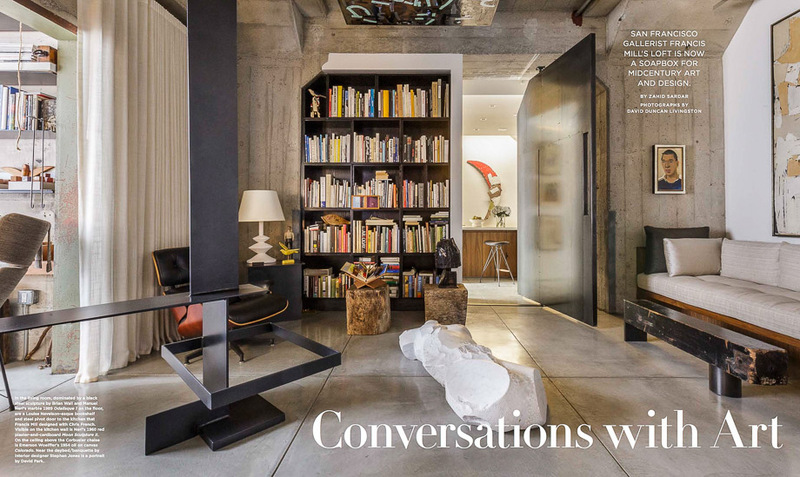 Here are two recent magazine features I photographed that offer two ways to showcase collections. 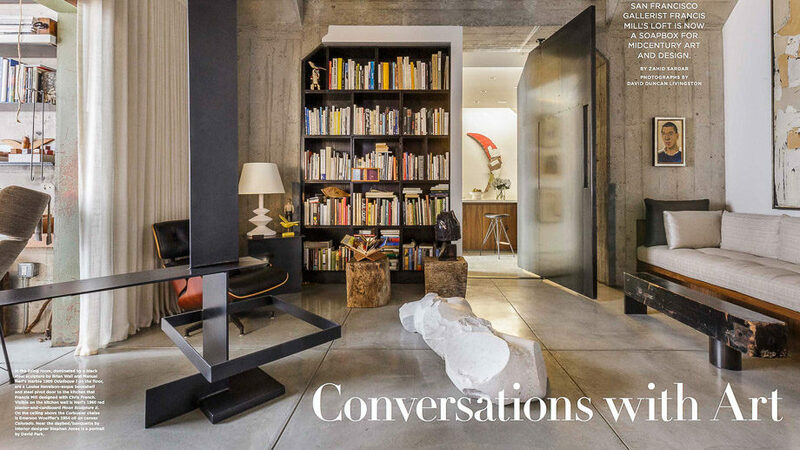 The first, is a loft of San Francisco gallerist Francis Mills. 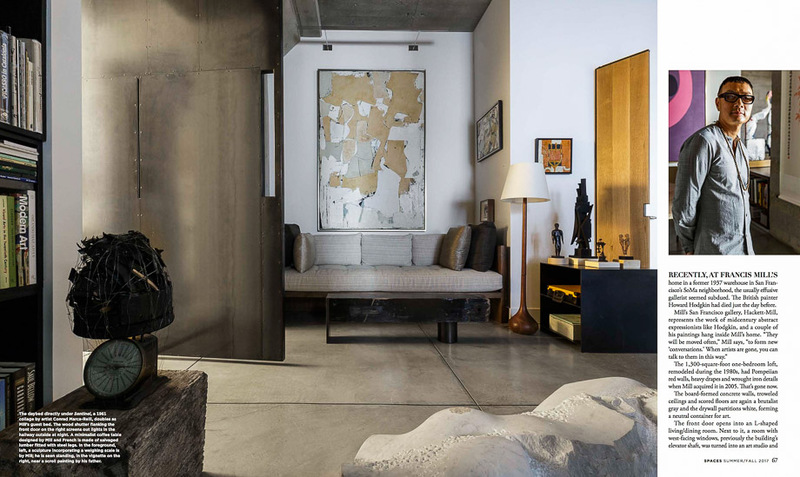 Mills and his interior designer Stephan Jones of Los Angeles created a wonderfully layered jewel box space in polished concrete and iron. The second by Yael Studio. 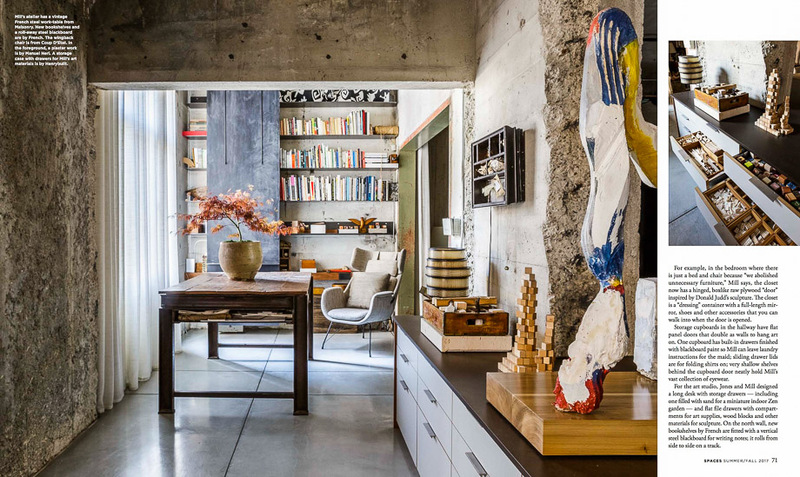 The one bedroom loft is filled with great works of Bay Area artists and it was tempting to just take photo vignettes at every turn but design editor Zahid Sadar wanted the story of the space and the art. Guiding my compositions was the experience gained from shooting hundred of features in books and magazines. I used elevation views to create formal perspectives and also sought to minimize distortion in the small rooms. 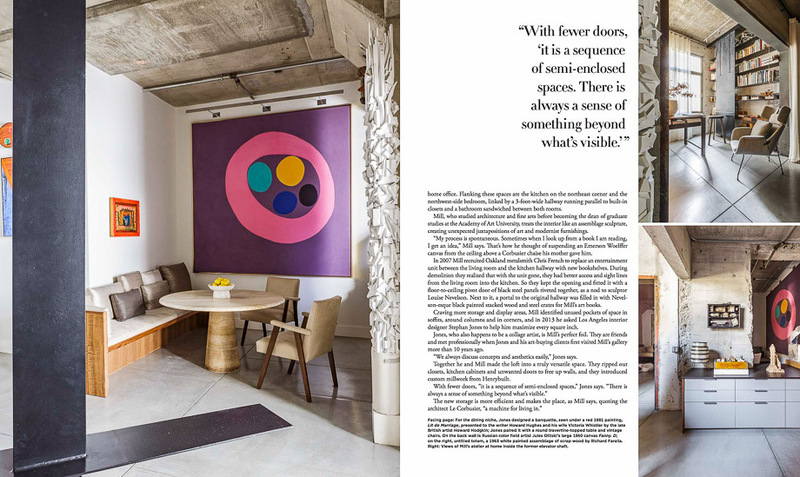 The second magazine feature is about the work of Marin interior design firm Yael Studio which showcased a modernist take within a traditional shingle style home in Ross, California. 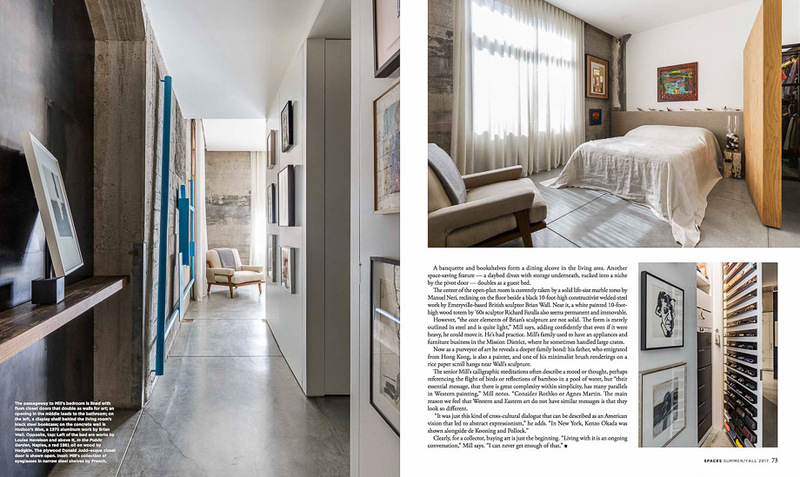 Yael’s brief to me was to photograph the overall room moments and overlayer the details with vignettes. Yael’s collected design style shows with the careful placement of objects and the bold contrasting use of paint and graphics. The eight-page feature showed place, personality, and palette. 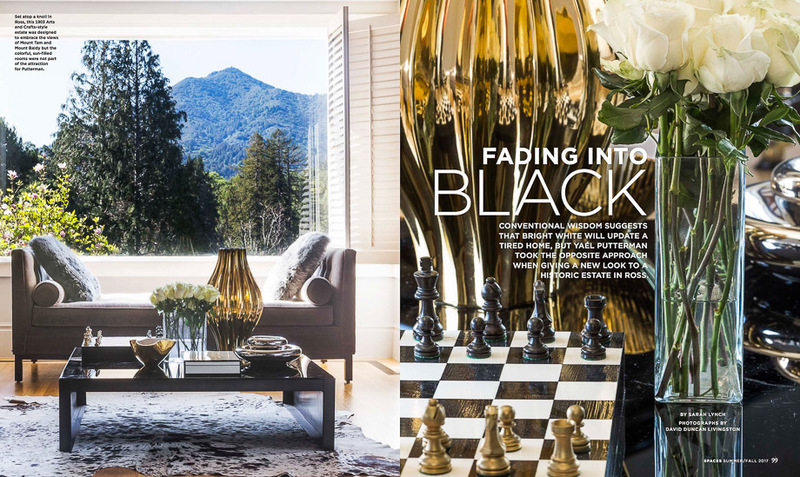 Black, white and grays were accented with objects and furnishings in golden hues. I photograph for architects and interior designers in an editorial style. 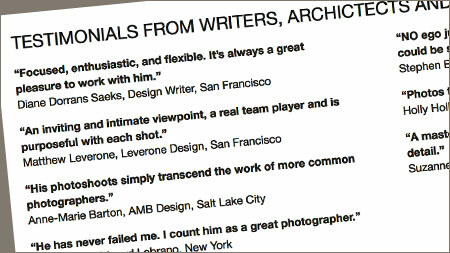 My photography has been featured in most national and all Bay Area region magazines of home design. My clients appreciate how I help them produce the design story by consulting about photo styling and art direction, then seeing shoot through to the polished post-production phase.